D708 derailleur hanger 6061 T651, made with CNC technology. Black anodized. Lighter and more durable than the hanger series. Derailleur hanger Pilo D757 , made with CNC technology. Black anodized. Lighter and more durable than the hanger series. Pilo D418 derailleur hanger 6061 T651, made with CNC technology. Black anodized. Lighter and more durable than the hanger series. Pilo D473 derailleur hanger 6061 T651, made with CNC technology. Black anodized. Lighter and more durable than the hanger series. 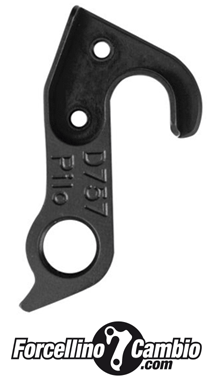 Pilo D706 derailleur hanger 6061 T651, made with CNC technology. Black anodized. Lighter and more durable than the hanger series. Colnago EPS 2009 derailleur hanger 6061 T651, made with CNC technology. Black anodized. Lighter and more durable than the hanger series. 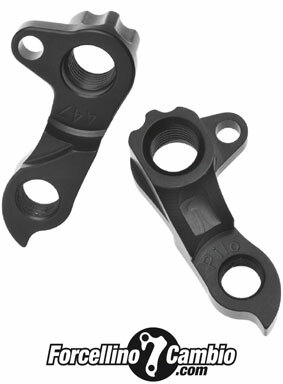 Pilo D372 derailleur hanger 6061 T651, made with CNC technology. Black anodized. Lighter and more durable than the hanger series. Pilo D447 derailleur hanger 6061 T651, made with CNC technology. Black anodized. Lighter and more durable than the hanger series.